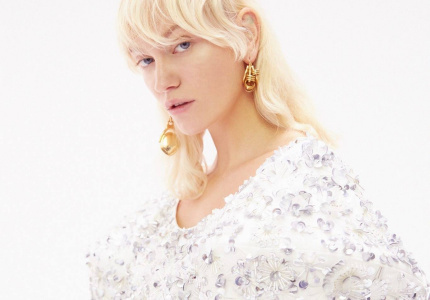 These elegant and playful iterations of the classic accessory are easy to wear – and they often come at a more accessible pricepoint than a piece of statement jewellery. As the season changes, so do our wardrobes. If you’re looking for an instant style update – and an alternative to a pair of statement earrings or a new bag – consider the hairclip: a utilitarian and (often more) affordable fashion accessory. The appeal of the barrette – or hair slide – lies in its mix of tradition, modernity and playfulness, as well as the fact that you can find high-quality embellishments for a fraction of the price of high-quality jewels. Sure, there are ultra-cheap options on the market, but those are often mass-produced by high-street chains and rooted in fast fashion. If you're prepared to spend a bit more, you can acquire a timeless, quality piece – without worrying about blowing your budget. 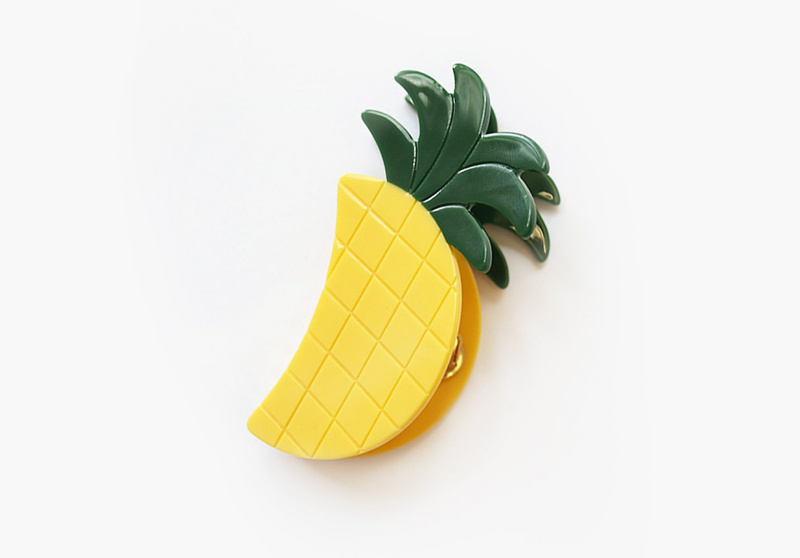 These schoolgirl-style pins are being spotted on runways and streets around the world. Many of the designs owe their genesis to the ’90s accessories revival, but others draw inspiration from earlier eras. They come in all shapes and sizes and are an easy (and unexpected) way to update any daytime or evening outfit. Use them to manage unruly hair (pinning them just behind your ears), or fasten them on either side of your hairline for a dressier effect. You can mix, match and layer the clips all over the crown of your head in headband-like fashion when wearing a high ponytail, or use them to dress up a messy bun. They’re also a great way to own a little piece of a luxury label for less. Plus, clips are a fun and subtle way to introduce a pop of colour to your look as the months turn colder and your clothes get darker. Here are some of our favourite pins for a range of pricepoints. This Australian label is known for its clever edit of contemporary clothes, vintage pieces and its in-house label. Its hair clip collection is equally worthy of attention. From a fluffy pale pink barette for $16, to pairs of tortoiseshell triangular clips, pearly pink options and multicoloured dazzlers for $22, there's playful, statement pieces to go with any daytime or party outfit. Prices range from $30 to $55, including fun pineapple clips, furry Joline clips in dusty pink, sparkly [Monique clips], leopard Loreli clips in felt, and much more. Literature graduate turned jewellery designer Anna Stainsby founded this label because she loved working with metal. She makes affordable, fun party accessories such as these mini pearl barettes ($10), which Stainsby makes by hand in Toronto. Pair them with a crisp white T-shirt and jeans, or a black cocktail dress at night. Or you can make a statement with a bunch of Sparkler barrettes ($7) worn together. Launched in Los Angeles in 2012 by Jasmin Larian, Cult Gaia’s sculptural accessories have become a staple for summer sojourns. This was one of the first labels to take the wicker basket out of the farmers market, placing it on high streets everywhere. 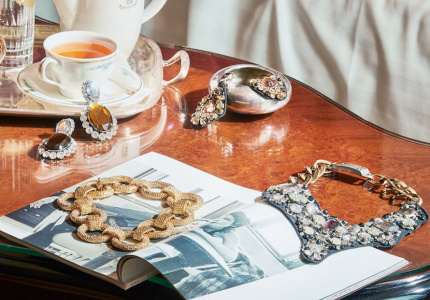 Cult Gaia has crafted a collection of pins in partnership with Net-a-Porter. The tortoiseshell design ($76) comes in soft pink, green, yellow and traditional tortoiseshell hues. It’s made from a lightweight acrylic with a gold fastening that ensures a snug and secure fit. This Italian label has created a beachy barrette that marries two popular street-style trends: hairclips and shells. The Beatrix shell-embellished hair slide ($100) is made from gold-tone brass, which holds a cream shell between knotted metal bands. A styling tip: sweep your hair to one side and fasten it just above the ear. German designer Saskia Diez has handcrafted this masculine, ’80s-style chainlink hairclip ($130) from gold-plated brass, which can be easily dressed down or up. Pair it with a chunky knit or a party look. For a bolder statement, pile on some gold chain necklaces to add further impact. 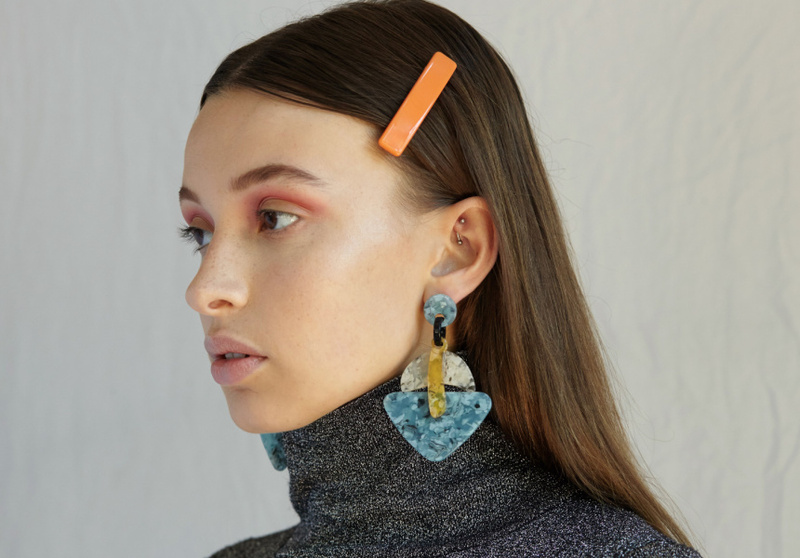 It's now possible to wear this much-loved local jewellery label's designs in your hair. Ryan’s sculptural barrette ($320) looks best when styled with a half-up-half-down do. The price tag might seem high at first glance, but it’s handmade in Australia from solid sterling silver. Part of Versace’s spring-summer 2018 “Tribute” collection, these Medusa medallion hair slides ($190) are hard to come by. After selling out in many different styles, the single coin version is still available. Made in Italy, these classic gold clips are on the expensive side, but they’re a collector’s item and a great way to own a little piece of the luxury Italian fashion house for less. 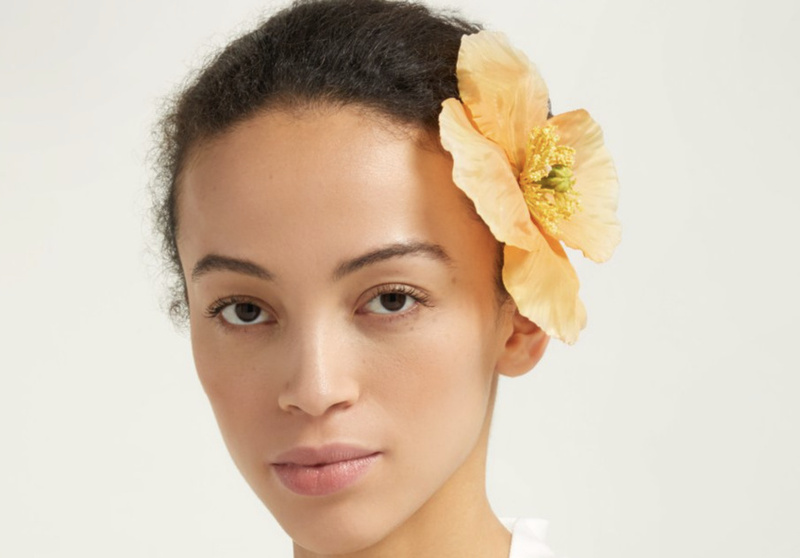 London florist Philippa Craddock has partnered with online luxury retailer Matches Fashion on a range of hair accessories. Her poppy hairpin ($320) is a romantic take on the hair slide, featuring a realistic faux flower on a silver-tone metal pin. It works just as well for a bridal party as it does for a more casual affair – say, with a floor-skimming floral dress and ankle boots in autumn, or a flouncy lace dress in summer. Craddock drew on historical botanical drawings for inspiration for the collection. Her faux hydrangea hair slide ($430) in ivory, green and lilac would look great with pastels. This whimsical bow clip, made in Italy with faceted crystals, adds a playful touch to any outfit, from a ruffled shirt and trouser combination to a black-tie gown. Our tip: leave the earrings at home with this one to avoid overcomplicating your look. 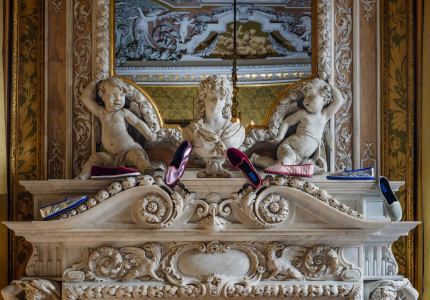 At $310, it's an investment piece, but a good entry point to this iconic Italian fashion house.